Computer crashes often occur suddenly and with little obvious warning. Once it happened, there is not much you can do, other than wait for the reboot or manually force a reset. The randomness with which a crash can strike is what makes it frustrating; one moment your PC is fine, the next it’s down and your files with it. Most crashes are not as random as they seem, however. There are a number of potential warning signs. Most of them are minor issues that the average user would brush off as an annoyance, but they hint at a larger problem that can grow and eventually crash your computer at the most inopportune time. Vigilance and knowledge can help find and solve problems before they turn a PC into a paperweight. Here’s the issues to look for – and how to fix them before they cause any harm. Sometimes two components in a PC will try to consume the same resources or perform the same task. This creates a hardware conflict, and it manifests itself in unusual behavior during certain tasks. An audio conflict, for example, might disable audio in some programs, but not in others. 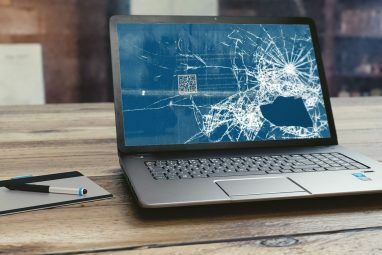 Not all conflicts will crash a PC, but some can cause instability, which leads to a Blue Screen Of Death 4 Tips to Help You Fix the Windows Blue Screen Error 4 Tips to Help You Fix the Windows Blue Screen Error Read More and/or a reboot. You can usually see a hardware conflict by opening Windows’ Device Manager. You can find it in the control panel, or via Windows Search. Hardware with a conflict will appear with a yellow exclamation point next to it. Try re-installing drivers for the malfunctioning hardware or, if you can’t make two parts stop interfering with each other, try disabling one in Device Manager. Should even that not work, you’ll have to physically remove one of the conflicting components. A classic sign of a slow-growing problem is random file and program corruption errors. Files that always worked suddenly don’t open, or only work on occasion. They may or may not be accompanied by an error message. Several issues could cause this problem. First, make sure your anti-virus is running and up-to-date, and then run a full system scan for malware 3 Free Real-Time Malware Protection & Removal Tools 3 Free Real-Time Malware Protection & Removal Tools If you realize that your browsing and download habits put you at a high risk of catching malware, you should make an effort to be protected from these threats in real-time. An anti-virus tool is... Read More . A virus sometimes will cause random file corruption issues. Another likely culprit is a failing hard drive 5 Signs Your Hard Drive Is Failing (And What to Do) 5 Signs Your Hard Drive Is Failing (And What to Do) Since a majority of people today own laptops and external hard drives, which get dragged around quite a bit, a realistic hard drive lifetime is probably around 3 - 5 years. This is an extremely... Read More , so you should check it for errors 4 Tools To Predict and Prevent Hard Drive Failure 4 Tools To Predict and Prevent Hard Drive Failure f there is one piece of equipment in your computer that you would predict to fail first, what would it be? Read More . And if that doesn’t reveal the problem, look for hardware conflicts in the Windows Device Manager; a driver issue might be responsible. Mechanical hard drives are likely sources of problems in modern PCs. Though they’ve become more reliable over time, they still contain mechanical parts that will eventually wear out, and that makes failure a reality users must prepare for. If you find that programs are taking a long time to load, that files don’t always open, or that the drive has become louder while working, then your hard drive could be nearing the end of its life 5 Signs Your Hard Drive Is Failing (And What to Do) 5 Signs Your Hard Drive Is Failing (And What to Do) Since a majority of people today own laptops and external hard drives, which get dragged around quite a bit, a realistic hard drive lifetime is probably around 3 - 5 years. This is an extremely... Read More . You should check the drive for errors 4 Tools To Predict and Prevent Hard Drive Failure 4 Tools To Predict and Prevent Hard Drive Failure f there is one piece of equipment in your computer that you would predict to fail first, what would it be? Read More , but don’t consider yourself problem-free if none appear. Backup your data just to be safe 6 Safest Ways to Backup & Restore Your Files in Windows 7 & 8 6 Safest Ways to Backup & Restore Your Files in Windows 7 & 8 By now, we're sure you've read the advice over and over: Everyone needs to back up their files. But deciding to back up your files is only part of the process. There are so many... Read More . A sure sign that something has gone wrong is an occasional error when booting your PC, usually something along the lines of “boot device not found.” Windows will fail to boot How To Resolve Windows 8 Boot Issues How To Resolve Windows 8 Boot Issues Windows 8 uses a new "hybrid boot" feature to improve boot times. When you shut down, your computer doesn't actually shut down normally - it performs a sort of limited "hibernate" that stores a state... Read More , but it might work at a later time, even immediately if you hit the reset button. This is a sign that something is wrong with your hard drive, or that your Windows installation has somehow become corrupt. Replacing the drive and/or re-installing Windows How To Restore, Refresh, or Reset Your Windows 8 Installation How To Restore, Refresh, or Reset Your Windows 8 Installation In addition to the standard System Restore feature, Windows 8 has features for "refreshing" and "resetting" your PC. Think of these as ways of quickly re-installing Windows -- either keeping your personal files or deleting... Read More is usually the only fix. However, before doing either, do make sure that you haven’t mistakenly left an external hard drive or USB drive plugged in. Some PCs will try to boot from a USB device before the hard drive, and that will cause a boot error. General poor performance, from launching programs to watching YouTube video and playing games, often results from the cumulative effects of software installed on a Windows PC. If you’re not careful, you may find you’ve installed more than your computer can handle, and it will perform poorly. Cleaning Windows might help The Best Way to Clean Windows 10: A Step-by-Step Guide The Best Way to Clean Windows 10: A Step-by-Step Guide If your Windows 10 PC needs cleaning, here are the tools and a step-by-step process to get it squeaky clean again. Read More , though if your case is particularly bad, you may have to re-install the operating system. 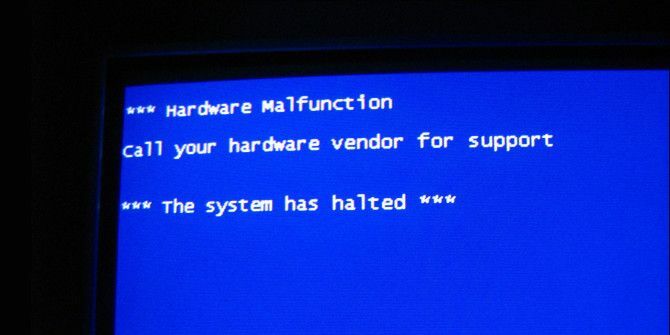 If the problem persists, then hardware is probably the culprit. Try some free benchmark programs The 10 Best Free Benchmark Programs for Windows The 10 Best Free Benchmark Programs for Windows Use these fantastic and free benchmark software for Windows to troubleshoot your system and keep it updated. Read More , record the results, and use them to determine what part is slowing down your PC. You can then decide if it should be replaced. Unusually, poor Internet performance that can’t be linked to a problem with your ISP or router is often a bad sign. It may mean that your WiFi or Ethernet adapter is encountering problems, or it might be a sign of malware robbing your bandwidth. Eventually, the problem might make Internet access impossible or, if the source is malware, your PC could suffer permanent damage. Download a bandwidth meter PRTG Monitor - A Free Bandwidth Meter For PCs In Your Home Network PRTG Monitor - A Free Bandwidth Meter For PCs In Your Home Network Have you ever been in a situation where your Internet is just dragging along, while you know that you're the only person on your network, and you're hardly using any bandwidth? There are plenty of... Read More for your PC to see how your home network is being used. If bandwidth is being consumed when you’re not using your computer, malware is likely the problem, so check out our malware removal guide. If there’s no unusual usage, then the problem is likely with your adapter, and it will probably need to be replaced. The video that you view on a PC, no matter its source, is effectively a stream of data that’s turned into an image. An error in that data can cause an “artifact,” which might appears as blocks of random color, strange lines or partially missing 3D geometry. All of these problems are signs that your PC’s graphics processor is encountering an issue. Often the problem is excessive heat; you may just need to open your computer and give it a good cleaning. If that doesn’t solve the issue, then the GPU is likely on the out, and should be replaced. At times you may have difficulty deciding if an artifact is caused by the video card, or by a bug in a game, or by poor video compression. A video card stability test can help 2 Video Card Tests To Troubleshoot Annoying Video Problems 2 Video Card Tests To Troubleshoot Annoying Video Problems Read More you determine the source of the problem. A computer with fans that are louder than normal may be screaming for help because its internals are too warm, a situation that can eventually lead to a crash and even hardware damage. You can use a PC monitoring tool SpeedFan Tells All: A Free Windows App To Monitor Every Aspect Of Your System Temperature SpeedFan Tells All: A Free Windows App To Monitor Every Aspect Of Your System Temperature Just as shorting a computer out will ruin it, making it run in temperatures it was never meant to take will cause it to malfunction. SpeedFan is a free utility for Windows designed to help... Read More like SpeedFan to investigate the problem and see what temperature your CPU and GPU are reporting. If the situation seems heated, open up your desktop and clean out its fans with a can of compressed air. Laptop owners have fewer options 5 Things You Can Do to Silence a Noisy Laptop Fan 5 Things You Can Do to Silence a Noisy Laptop Fan Over time, laptop fans get covered in dirt and dust. We show you how to improve the performance and reduce fan noise of your system. Read More , but you can still try to clean out the exhaust fan, or buy a cooling pad. Software that launches without your permission is a clue that you may become a victim of malware. Often the programs that appear will be linked to advertisements, but any Trojan can allow this avenue of attack. You might also notice that certain hardware, like the webcam, may activate without your consent. Eventually, this tampering might lead to problems as your PC is slammed with unwanted programs or its files are corrupted maliciously. Solving this problem is simple in theory, but difficult in reality. Read our malware removal guide to find out the best ways to clean up after an attack. Alternatively, if your files are backed up and you don’t want a lot of hassle, you can perform a clean re-install of Windows. You may already have a computer that has crashed, but not while you’re looking. Perhaps the PC was left to go into sleep mode, or just left on overnight. The fact the PC hasn’t crashed while you’ve been using it is likely due to luck and shouldn’t be considered a symptom. In most cases, this situation is caused by a driver or hardware issue that’s triggered at random or when an exact set of circumstances are met. If you haven’t already checked for hardware conflicts, do so now. Should no conflicts be obvious, try updating the drivers for your video card, sound card, motherboard and WiFi or Ethernet adapter. If the problem persists, run benchmarks The 10 Best Free Benchmark Programs for Windows The 10 Best Free Benchmark Programs for Windows Use these fantastic and free benchmark software for Windows to troubleshoot your system and keep it updated. Read More to see if the stress causes the error to emerge. And should that not work, you may have to resort to trial-and-error by disabling components to see if the problem goes away. 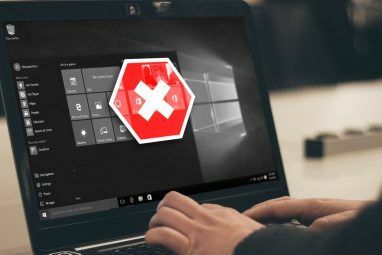 You might also investigate if there’s any software scheduled to run overnight on your PC, such as a backup or anti-virus, which could be triggering the crash. These ten scenarios are likely the most common users will encounter, but they’re not the only ones. Readers who are still having problems, and can’t find a way to resolve them, should check out MakeUseOf Answers. Other readers might have encountered the same issue – and know a solution. Have you been able to track down and fix computer crashes? Please share your insights! I had a problem with Windows 7 that seem to come and go. Some days it worked fine, other days it crashed several times. I tried using the Windows 7 memory-test to check the memory, but every time it said the memory was fine. Finally I down loaded a dos based memory checking tool, something like MEM87. It found that half of my memory was bad. The program which ran off a CD, would simply install some information in hex-a-decimal format and then later check to see if that information was still stored where the program put it. Two of the four memory sticks failed this test. I think the reason windows did not catch this problem is because it was using defective memory to run on while looking for defective memory. Sometimes you have to get on the outside of the operating system to find the problem. That may mean using a simple dos based program of some kind that runs on a CD to find the problem. At least that's been my experience. Driver Talent helped me solve BSOD. You guys could also have a try while facing the same problems. 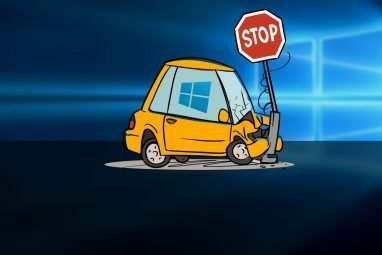 When you do get a crash on Windows it is actually quite helpful to look at the stop error code on the screen. When your PC turns back on, Google it. Almost always people know what happened. One such occasion where people did not know was "Microsoft Security Client OOBE" crashing Windows 7 and Windows 8. Turns out it's a very nasty left-over from Microsoft Security Essentials. Windows has quite a few bugs that can crash your computer even without bad hardware or malware. Try to avoid using Windows as your work environment. If thats the case, no Windows 7 or 8 computers would be running. If Microsoft Security Essentials is the problem, then uninstall it. No reason not to use Windows in a work environment. I often tell my wife: "It is a machine, designed and made by men. Of curse it will break down. On its own. Even if I don't touch it!" Buildings with power surges (random lightning, arc-welding gear, large machines like elevators, etc) can create 'random' power surges that can damage most electronic equipment. If you have power-surge protectors, it is easy to miss the warning light, that the protection device has 'blown' and is no longer working. Other equipment breakdowns are very predictable. If high temperatures, dust, pollutants (such as oil, fumes and cigarettes) ... can create early machine breakdowns. The line I like is when something fails it tells me to contact the IT department....There is NO IT department, just me the average user. The best sign that your computer is about to fail is this: Gallo will begin selling wine before its time. Hard drives, more reliable over time!? I beg to differ. Maybe some of you just arent old enough, but our hard drives back when we were running Win 3.1 never failed, ....never. I still have a few from that era, still working. Only 10-20GB lol, but still working. It was deep into Windows XP and probably my 30th hard drive before a Western Digital finally failed on me. Now to keep your info safe, you need a total of three hard drives per one system os. The system HD, the Backup HD, and the Backups Backup HD. A hard drive costs too much to need to buy three of them to keep safe. Video artifacts can also be a result of an issue with the video driver itself. This type of issue was being reported quite frequently with NVIDIA drivers a few months ago. Users who attempt to use the "latest and greatest" drivers at all times are far more susceptible to these types of issues. What about Linux, BSD and Mach.